April 6th 2018 - For the past six years the South Florida PGA Foundation and Toast to Humanity have been working together to raise funds to help support the Foundation and all the programs it administers. Toast to Humanity is a non profit charity that works at the center of a value chain—leveraging the purchasing power of consumers and the marketing power of brands to raise support for humanitarian causes while at the same time building brand awareness! They have been on the cutting-edge of cause-branding and socially responsible marketing. We thank Toast to Humanity for their support, and encourage any facility looking to host a wine tasting event to contact them! 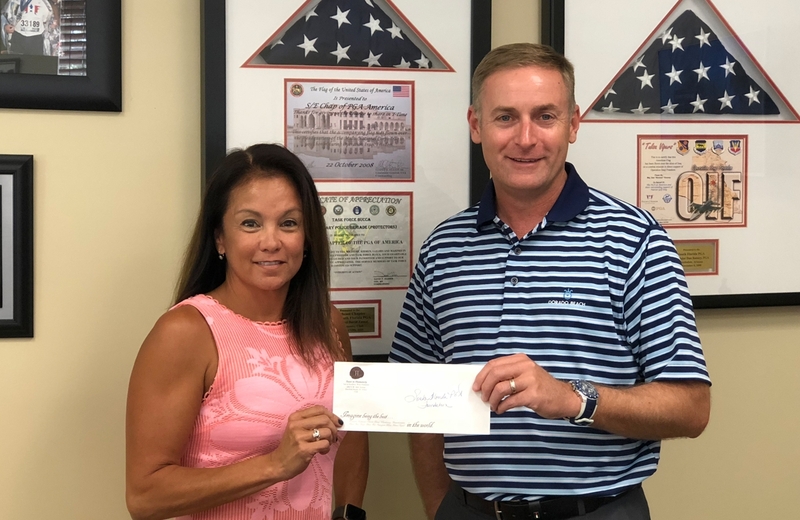 Check received by Melanie Henkle Field Sales Manager, Palm Bay International Wines and Spirits...celebrating such brands as: Au Contraire, Heritance Cabernet and Vanderpump Rose.